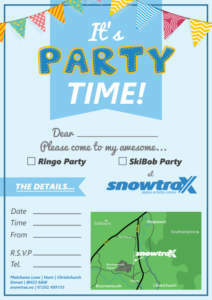 Our kids birthday parties are not to be missed! Slip & slide down the slopes on your very own Ski Bob or Ringo. These activities will bring an element of excitement and adventure to any birthday party! Suitable for 3-10 year olds. Gloves, long-sleeve tops and trousers and closed shoes advisable. A Birthday Cake is not supplied, but you are more than welcome to bring one along. Our staff will happily look after it for you & present it back to your table on your request. £50 non-refundable deposit required upon booking. 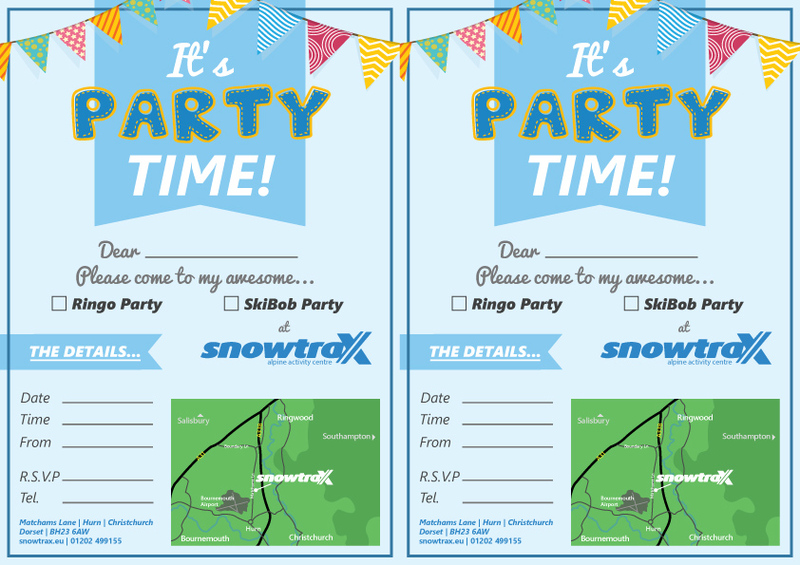 Free Party Invitations are available to download, please select the invitation from below!